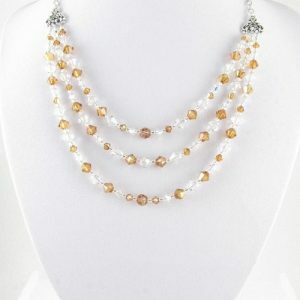 Leopardskin Jasper necklace with matching earrings. 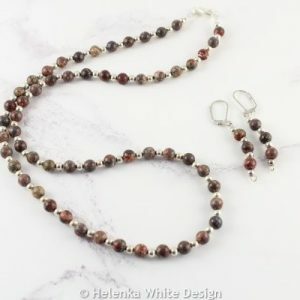 This beautiful Leopardskin Jasper necklace and earring set makes a lovely gift for people who love autumn colours. 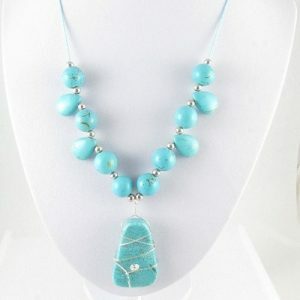 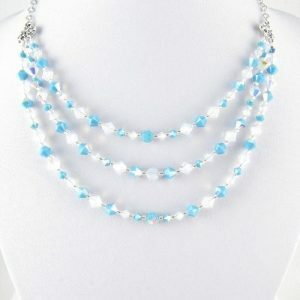 Chalk Turquoise necklace – handcrafted with silver plated beads, stabilized Chalk Turquoise drops, beads and a pendant, which has been wire wrapped. 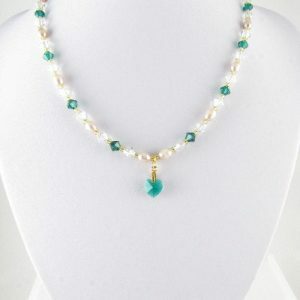 The beads hang on a waxed cotton cord, which closes with a lobster clasp.